Marienfluss Mobile School is a small primary school that offers grade 1 through 4, which supports 60 children from ages 6 through 11 years old and has 3 teachers. It is situated in the Marienfluss Conservancy. In the country’s far North lies the 303 400-hectare (749 641-acre) Marienfluss Conservancy. 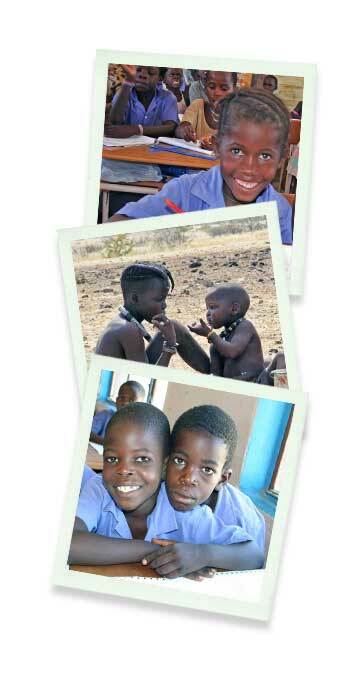 The school offers a unique education approach tailored to the cultural and tribal needs of the nomadic Himba people of the Kunene region. Over the years the school has achieved considerable progress as well as acceptance by the local communities and the demand for education has increased considerably resulting in permanent infrastructure.